NEW DELHI: Is Corbett national park, India’s best known tiger sanctuary, becoming a hunting ground for party animals at the cost of real ones? A study commissioned by the Union tourism ministry on Corbett has found that 70% of the resorts around the park are venues for weddings, rain dances, parties, bike races and zorbing rather than for visitors interested in wildlife. There are 77 resorts in the area with 17 more likely to come up this year alone. Incidentally, the tiger reserve has a ceiling of a maximum of 600 visitors daily. This rampant commercialisation and mismatch in numbers drawn to Corbett has set off alarm bells within the ministry that is now considering tighter norms for hotels and resorts coming up in ecologically-sensitive places. The study conducted by the Institute of Hotel Management, Pusa surveyed areas around the 10km periphery of the park in December last year. “The findings are very worrying. We plan to bring this to the attention of the ministry of environment and forests before Corbett becomes another Sariska. There must be stringent guidelines for commercial establishments,” Sujit Banerjee, tourism secretary, said. Besides indulging in activities like parties and rain dances, resorts keep bright lights on throughout the night. Turning a blind eye to environmental friendly practices, 31% of the properties dump their waste outside while 26% burn it. About 94% of the properties are fenced or walled. This has resulted in two animal corridors connecting Corbett with Rajaji national park being blocked. The fencing aside, vehicles and encroachment by villagers displaced by the New Tehri dam have also contributed to choking the corridors that are a lifeline for the animals. Another worrying point is the fact that of the 77 vehicles plying within the tiger reserve, 26 run on diesel. Among steps being taken to check this disturbing trend, officials said resorts and hotels in fragile ecological zones will now have to take the nod from the tourism ministry before they begin commercial operations. These zones – like national parks, hill stations and coastal areas – will be defined in the new set of regulations. The ministry also plans to conduct surveys around other important national parks like Ranthambore, Bandhavgarh and Kanha. Corbett National Park is becoming a party zone, posing a hazard to the environment. Besides indulging in activities like parties and rain dances, resorts keep bright lights on throughout the night. Tehri dam have also contributed to choking the corridors that are a lifeline for the animals. Another worrying point is the fact that of the 77 vehicles plying within the tiger reserve, 26 run on diesel. Among steps being taken to check this disturbing trend, officials said resorts and hotels in fragile ecological zones will now have to take the nod from the tourism ministry before they begin commercial operations. These zones — like national parks, hill stations and coastal areas — will be defined in the new set of regulations. 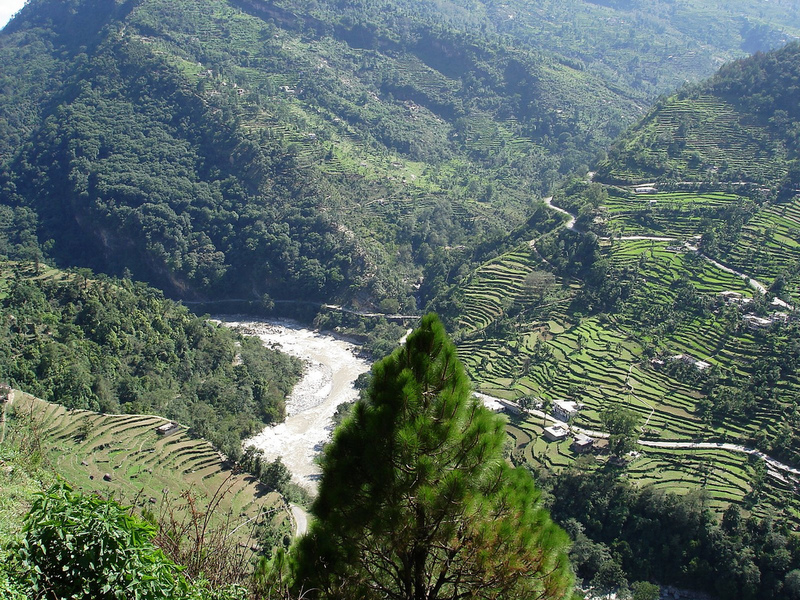 Uttarakhand or Uttaranchal is primarily made up of two regions namely Garhwal and Kumaon. Uttarakhand is also referred as Dev Bhoomi as it has numerous places of religious importance such as Haridwar, Rishikesh, Badrinath, Kedarnath, Gangotri and Yamnotri. The state of Uttarakhand is equally famous for its well known hill stations such as Mussoorie, Nainital, Almora, Ranikhet, Kasauni and world famous “Jim Corbett Tiger Reserve”. Uttarakhand has established itself very well in India’s tourism map and draws tourists not only from India but all over the world. It has developed excellent tourism infrastructure and has also adopted Eco Tourism policies so that environment is not affected due to tourism. Uttarakhand tours is also an emerging destination for adventure sports such as River Rafting, Skiing, Para Gliding, Hiking and Trekking and has numerous destinations such as Shivpuri in Rishikesh, Auli, Valley of Flowers etc which caters to the needs of adventure seeking souls, so unwind yourselves and get your prepared for a wildlife safari in Corbett, get involved in camping and white water rafting in Rishikesh, simply enjoy the cooler climes of hill stations in India or most importantly seek divine blessings from God in Haridwar, Rishikesh and other pilgrimage centres.